On the 1st of January 2016, the Natureef officially came to life. With the goal to contribute to a more efficient use of natural resources, nine European clusters joined forces to create business opportunities and collaborations for their European cluster members in South America, Asia and ASEAN countries. During this two-year project, the partners organised missions to China, Peru, Colombia, Mexico and the Philippines, and set up strategic partnerships with local clusters, associations and companies in the areas of agriculture, renewable energies, green chemistry and bio economy. As a result, a total of eleven cooperation agreements have been signed that will bring future opportunities to the Natureef cluster members. Another main achievement of the project was the organisation of an international conference that took place in January 2017 in Angers, France. The VIBE conference was jointly organised with Natureef partner VEGEPOLYS and provided all Natureef cluster members with the possibility for international contacts. In more than 230 B2B matchmaking sessions, the seeds for new collaboration opportunities have been sowed and are now growing. The good work done by the Natureef partners was also perceived by others and honoured accordingly. Consequently, Natureef was among the three finalists for the EU Cluster Partnership of the Year award. However, Natureef was not only beneficial for Europe, but also created an impact on the international target regions. 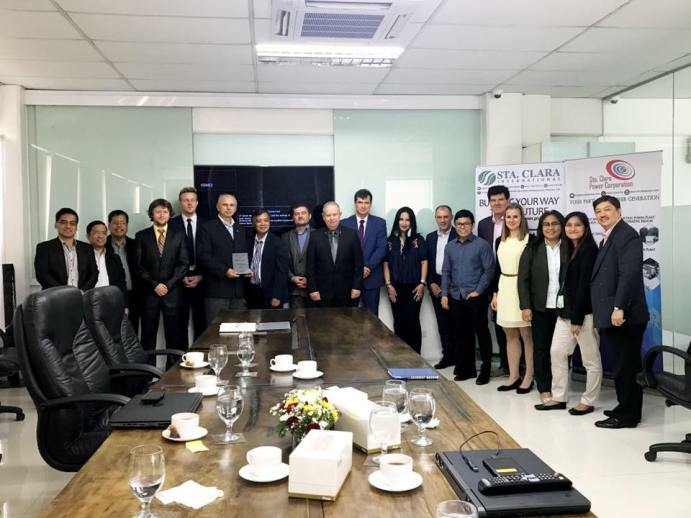 On the Philippines, the province of Guimaras has expressed their interest in setting up a specific cluster for small and medium sized enterprises and asked Natureef partner CREA for support and knowledge transfer. In addition, through the strong engagement in the Natureef project, the Natureef ambassador for Latin America was directly employed by a French company recently to cover the Colombian market. Thus, Natureef even helped to create new job opportunities. Even though the project will officially end on the 31st of December 2017, the Natureef will definitely continue. Already today, a project spin-off named NATUREEF Association has been founded in Poland. The purpose of this association is the creation of resource efficiency projects in the packaging and chemicals sector. In addition, the Natureef partners will continue to collaborate on European and international stage to push on the Natureef idea.